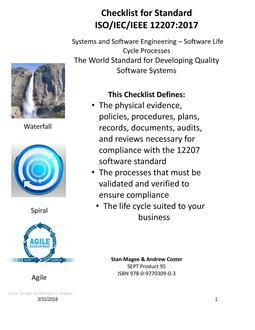 This document contains a set of templates that enable engineers and managers to implement effective, standards-compliant software configuration management (CM). 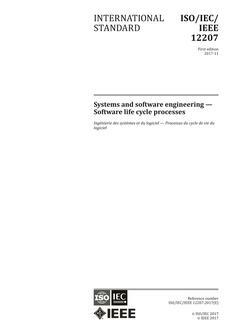 The templates conform to software CM requirements specified in standards ANSI/EIA-649-B, Configuration Managements Standard, ISO/IEC 12207:2008, Software life cycle processes, ISO/IEC 15288:2008, System life cycle processes, and IEC 62304, Medical Device Software - Software Life Cycle Processes. In addition to informative and adaptable text, these templates provide many illustrative diagrams that ease the implementation and communication of CM processes.